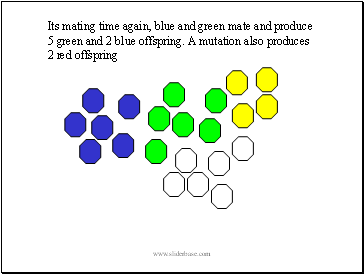 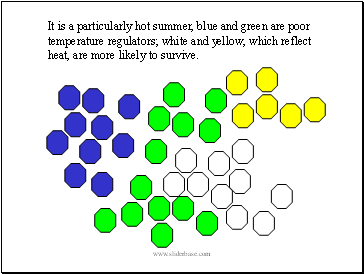 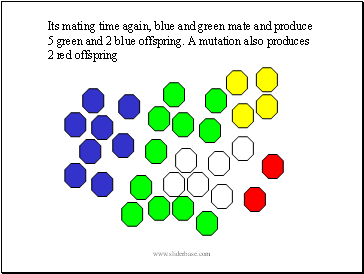 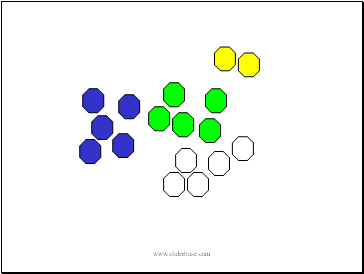 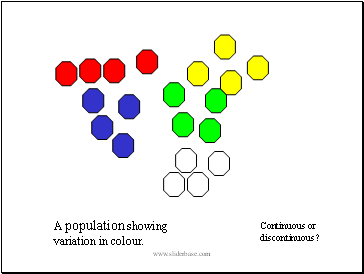 A population showing variation in colour. 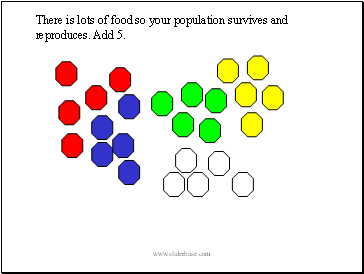 There is lots of food so your population survives and reproduces. 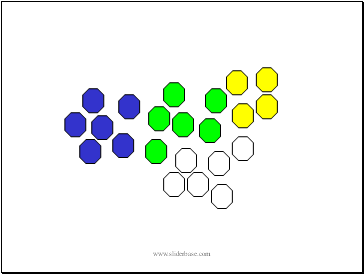 Add 5. 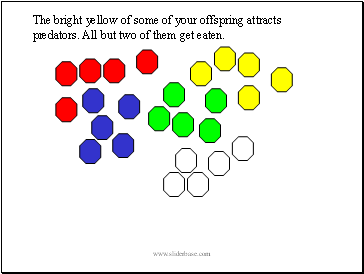 The bright yellow of some of your offspring attracts predators. All but two of them get eaten. 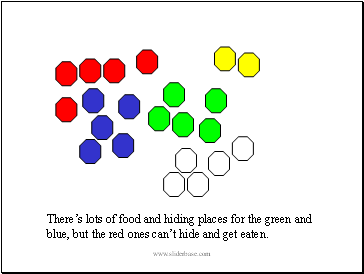 blue, but the red ones can’t hide and get eaten. 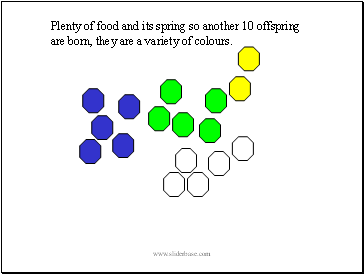 and its spring so another 10 offspring are born, they are a variety of colours. 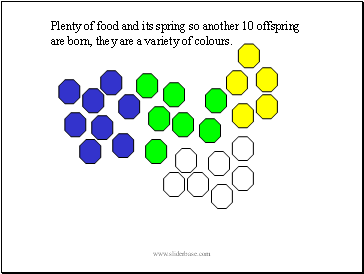 Plenty of food and its spring so another 10 offspring are born, they are a variety of colours. 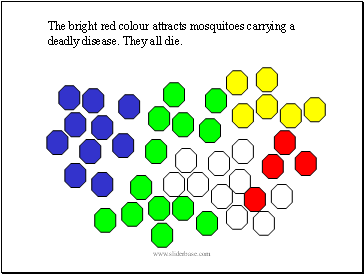 The bright red colour attracts mosquitoes carrying a deadly disease. 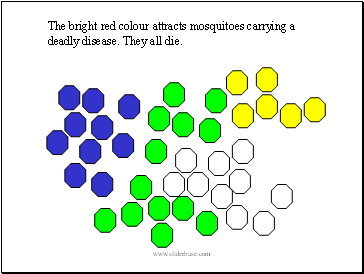 They all die.